Zoog VPN offers their services at a mere $1.25 per month. There has to be a catch or some missing features, right? Zoog VPN was founded in 2013 by a company known as Zoog Services PC (IKE), based in Greece. Like many VPN providers, they claim to be secure, fast, and to offer unbeatable privacy. Does Zoog VPN deliver, though? Our review will be taking a closer look at this relatively young VPN. In terms of connection speeds, we have nothing to complain about. All VPNs are going to slow your download and upload speeds to some extent, and some will do this more than others. The key is finding a VPN service that doesn’t slow you down too much… Zoog VPN is one of these. We tested our 50Mbps internet connection on two servers, one in Europe and one in the U.S. When push comes to shove, they are not the fastest servers, but they’re more than okay. It seems to depend on which server you are connected to and how many other people are using it at the same time. Your luck may vary depending on when you’re using the service, it seems. Zoog VPN allows torrenting but it depends on which server you’re using. Again, by looking at Zoog VPN’s network page you can see which servers allow torrenting as they will have a small “P2P” icon on them. It is important to select a torrenting-friendly server otherwise you may have your access to the Zoog VPN network restricted or terminated. Looking for more torrenting support? Check out our VPN suggestions here. Pricing & Plans: Holy moly! How are they making money with plans this cheap? Zoog VPN offers a free plan you can sign up for and use completely free-of-charge; however, it’s limited. You can only access a few servers and you can only use 2GB worth of data per day. There’s also no guarantee as to the speeds you will get on the free plan. The good news is that there are several cheap and budget-friendly plans on offer from Zoog VPN. Like most VPNs, all the plans are the same, save for the price, with longer subscriptions working out far cheaper per month. For instance, you can pay for Zoog VPN on a monthly rolling basis for $8.99 per month or subscribe for two years and save 90%. This plan is billed at $29.99 for 24 months, meaning you get full access to Zoog VPN for a mere $1.25 per month. This is by far one of the cheapest VPNs we have ever seen. Zoog VPN offers a 7-day money back guarantee; no hassle, no questions asked. You can get this started by contacting their customer support department. This is shorter than other VPN money back guarantees we have seen; many offer a 30-day refund policy. We’d like to see Zoog improve here – a generous refund policy shows a VPN cares about their customer experience and confidence in their product. Zoog VPN offers all the typical payment methods such as PayPal, Visa, Maestro, and MasterCard. In addition to this, you can also pay with Bitcoin and Paymentwall (which includes Ethereum and Litecoin payment options). While it’s great to see crypto payment methods, there is no way to pay by cash, check or gift cards like some other VPN providers do. We’re not complaining; to see any crypto options puts it securely in our pros section – but adding more options is always a bonus! Zoog VPN offers complete compatibility across a range of devices; these include iOS and Android, Blackberry, PCs and Macs, Linux, Chromebook, and even routers. 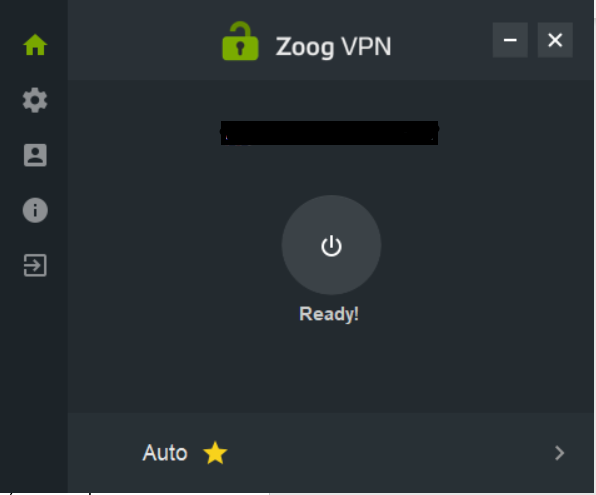 By setting up Zoog VPN on a compatible router you can secure devices such as TVs and smart fridges. You can run Zoog VPN on five different devices with five simultaneous connections or add it to your router to protect every single device connected to your home’s network. It’s nice to see even minor devices such as Blackberry supported (sorry physical keyboard lovers, it’s just how it is)! Signing up to Zoog VPN requires very basic information-your email address and payment information, and the app itself can be installed in minutes. You can even download and install the VPN without creating an account. While the product interface isn’t the most beautiful we’ve ever seen, it is simple and functional. When you’re using a VPN, that’s what you’re really looking for—something easy to use. The Zoog VPN program itself is very basic and you can’t do much in addition to connecting and disconnecting from servers, and choosing which port OpenVPN should use. Overall, a pleasant product interface, but we’d definitely like to see more options for the advanced users. Like top-tier VPN providers, Zoog VPN offers a live chat option. On their support page, you can either check out their FAQs and resources or send in an email to their customer support department via their ticketing system. For support, you need to provide your name, email address and specify what type of support you’re looking for. We are not sure why as they all seem to end up in the same place anyway. Upon submitting a ticket, you get a timeframe for a response and this is typically within 24 hours, but that’s dependent on how busy they are. While there’s nothing wrong with ticketing systems, live chats are always preferred. And we’re happy to see them offer it. All they have on you is your email address (which should be fake) and their zero logs policy means they connect no information about what you are doing when connected to the service. Zoog VPN uses industry-standard protocols and encryption. For paid plans, AES-256 encryption is offered, the best encryption you can get. With the free plan, however, you can only get 128-bit encryption; 128-bit is no AES-256, but it will still cover your back in most scenarios. OpenVPN is used as a tunneling protocol on both plans and this is widely accepted as the best currently available. So far as security is concerned, especially for paid users, Zoog VPN ticks all the right boxes. Most VPN services, even the bad ones, will offer a kill switch and in our opinion, is essential. VPNs can sometimes fail, and a kill switch will protect your information by terminating all your connections should this happen. The absence of a kill switch on devices other than macOS means that if your Zoog VPN connection drops or otherwise fails, you are instantly vulnerable. At the time of writing, the Zoog VPN network offers 33 VPN servers across 23 countries. Zoog VPN claims that this number is growing constantly. On their network page linked above, you can see all these locations plus how full the servers are and what you can do on each server, such as use Netflix, Hulu, or torrenting. Zoog’s network seems to be decent but it’s nothing amazing, and we see if their servers deliver on their promises of Netflix and torrenting. Zoog VPN claims that many of their servers work with Netflix. We all know that Netflix has been cracking down hard on VPN providers and proxy servers to prevent people from accessing their geo-blocked content, and Zoog VPN has not been immune to this. Unfortunately, at the time of testing, we could not get any of their servers to work with Netflix despite their website and network page stating otherwise. We tested five different servers before giving up. We were met with the classic black error screen. It appears their information is outdated. Hopefully, they’ll soon be able to bring some of their Netflix servers back up and running or at least stop advertising it on their site. Until that time, stream away with these VPNs that do unblock Netflix. Founded in May 2013, Zoog VPN was created by a team of “networking geeks and techies” whose IT experience stretches as far back as the 1990s during the “boom years” of the Internet. Their team is comprised of managers, developers, system administrators, product managers, and publishers, and the company behind Zoog VPN is continuously growing. Zoog VPN operates from around the world and is based out of Greece. Despite being founded in the UK, Zoog VPN is legally registered as Zoog Services PC (IKE) in Greece. This means that Zoog VPN falls outside of the 14 Eyes group of countries who all share information with each other. This means that Zoog VPN can offer complete privacy and cannot be compelled to disclose any information to law enforcement agencies. Zoog VPN is a nice VPN. It’s relatively fast, cheap, safe, and reliable, with servers based all over the world. It has a very nicely designed website, and the VPN itself is easy to use, with the latest encryption methods and tunneling protocols used to protect customers. The only downsides are: firstly, no kill switch. This is a let-down for an otherwise stellar product – if privacy is your main concern, not having one could be downright dangerous depending on what you are using Zoog VPN for. 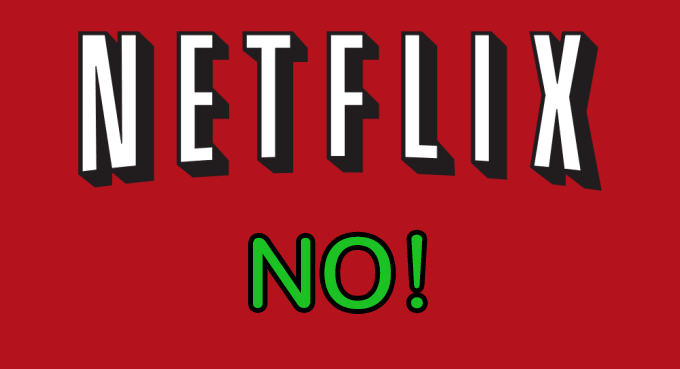 Secondly, they need to clarify their current Netflix situation – do they offer bypasses or not? Until they do, we can’t recommend Zoog for privacy reasons or Netflix lovers. Apart from those points, however, it’s a solid offering, and we recommend at least giving it a try if you’ve liked what you’ve read in our review. Streamers and torrenters, skip ahead to our top 10 list.